Cuba is the country evolution forgot. Time gobbled it up in the 1950’s and spat it out as a fascinatingly dilapidated preview of it’s former self. Roads lead to rundown remnants of a once glitzy heyday – an era where the rum ran cold and US ties were tight. A period that for varying reasons, was never going to last. But last it did; sort of. Havana’s grandly disheveled buildings with their rusted-raw metal and multi-coloured pastel paint peeling off like semi-healed scabs are constant reminders of those opulent pre-Revolution days under the corrupt pro-America Batista government (you can read about the pre and post Cuban Revolution here). 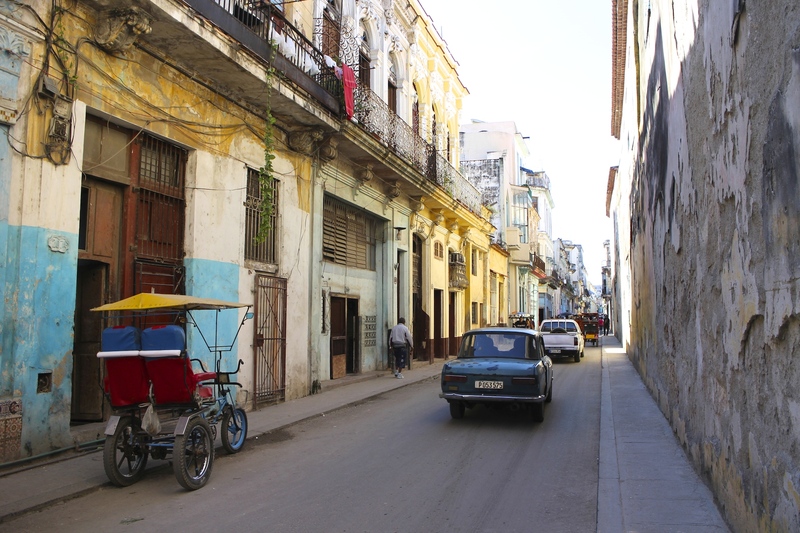 The catchy Cuban beats, dusty streets and lack of Coca Cola remind you this country has seen a lot these past sixty years. Its citizens have been pulled like rag-dolls from one commercial extreme to a communist other. But what they haven’t seen is the Internet. Weird? Slightly. No matter how many times I told myself I wouldn’t be able to Google or check my emails, I still had trouble getting used to it when I was there. How do these people find good places to eat in Havana? Turns out, there’s really only one. How do these people know when salsa festivals are on? Apparently they pick-up-the-phone and spread the word. How inherently simple…how old-school. And yet for Cubans, being completely disconnected from the outside world is a way of life. I suppose it’s rather liberating, really. Confronting, yet liberating. It leaves you with plenty of time to kill. And what do Cubans do in their free time? 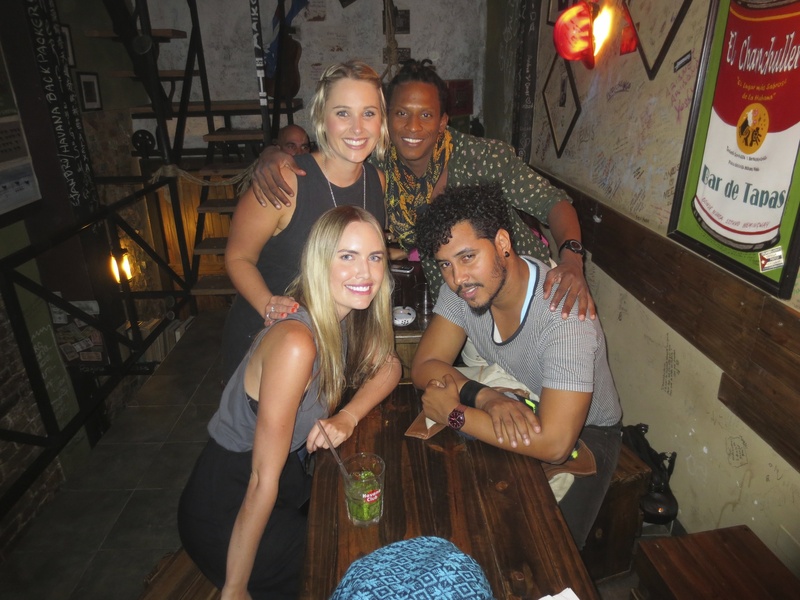 Congregate on the streets for Salsa-dancing and party in their Casa Particular’s with Cuban music blaring. Which is awesome fun until it’s midnight on a Monday and you want to catch some shut-eye but you can’t because your next-door-neighbours are singing at the top of their lungs! I hate to break it to you, but Cuba uses two currencies. The first is the internal currency, or the Cuban Peso, and the one locals use for every day purchases. The second is the tourist currency, or the CUC (Cuban Convertible Peso). Guess which one most eateries, markets, taxis and sights use? The CUC to USD conversion is pretty much equal, and if you’re hanging around the old-town and tourist areas you’ll be paying the US equivalent for everything you buy/do as well. Cuba is most definitely not cheap like other Caribbean countries. You can find decent-ish meals for CUC$4-6 but you need to know where to go [insert trip pre-planning printouts here]. Which brings me to my next point. There are lots of reasons to visit this confronting yet fascinating country (the people, the history, the art, the museums, the generally raw and playful vibe of Havana) but the food isn’t one of them. Food has been in short supply in Cuba since the early nineties following the collapse of the Soviet Union (it’s primary source of trade). Today, most restaurants offer staple plates of blandly marinated and grilled something (either chicken, pork, beef or prawns) with some tomatoes, refried beans, onions and lettuce on the side. So, if you’re a foodie traveller don’t expect gourmet. Trying to find bottled water is like trying to find a needle in a haystack. A very cold, wet, refreshing needle in a very large haystack mind you (including tourist areas). Rum on the other hand is sold in abundance on every street corner. It’s even sold individually in little plastic poppas for the equivalent of about 30 cents AUD… a lot cheaper than bottled water (sold at about CUC$2! So you have a decision to make. Either stick to Havana Club for your daily hydration or stock up on water when you come across someone actually selling it! Contrary to popular belief, Cuban banks and currency exchanges at airports will change US Dollars just as they will exchange most international currencies. You also don’t need to bring all of your cold hard cash with you on your person when entering the country (as I was stupidly told). There are many ATM’s throughout Cuba that take most cards EXCEPT MASTERCARD. If you’re in dire straits you can go to a bank and get money out from your Mastercard, but be prepared to wait in lines upwards of 30 minutes (especially at Lunch time, that’s when all the Cubans seem to go). If your getting money changed over, the smaller the note, the better, as many operators don’t like taking notes above fivers. Further, be prepared to get stung a steep $75AUD on airport tax. It’s CUC$50 in and CUC$25 when leaving. 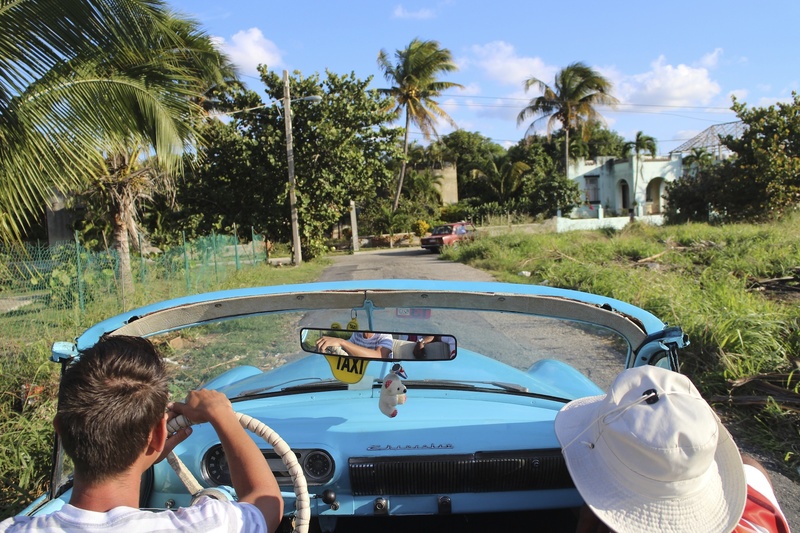 Due to the trade embargo and collapse of the Soviet Union (of which Cuba had tight economic and social ties), cars have been in such short supply that a lot of folks still cruise from A to B in old Chevrolet. Sure they cough and splutter their way through the city, contributing some hefty carbon-emissions to the Earth while they’re at it, but they’ve got to be the most recognizable symbol for Cuba since the Che Guevara flag. You can rent one of these cars (with a driver, trust me you’ll need it) at CUC$60 for three hours (CUC$60). 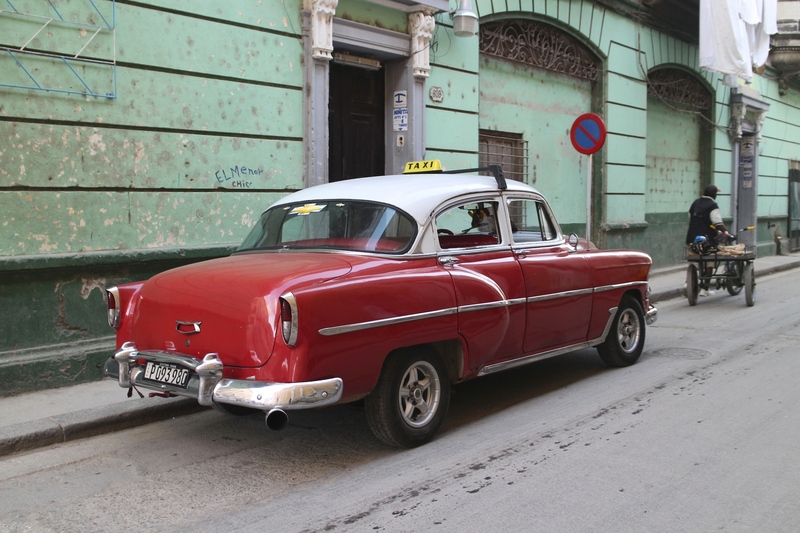 These friendly drivers will take you on a tour around the city, stopping off at famous sights like the Capitolio, the Tobaco Factory to stock up on your Cuban Cigars and the Plaza de la Revolucion. The best way to book one of these tours is to ask your Casa Host or Hotel Reception to call for you. 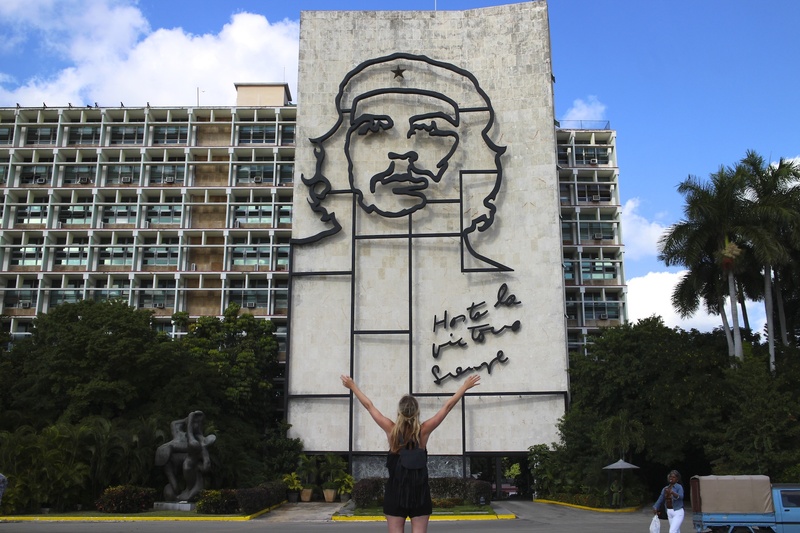 Cuban Travel Tip 6 – #10 – Casa De La Musica Isn’t Worth Its Chops…. 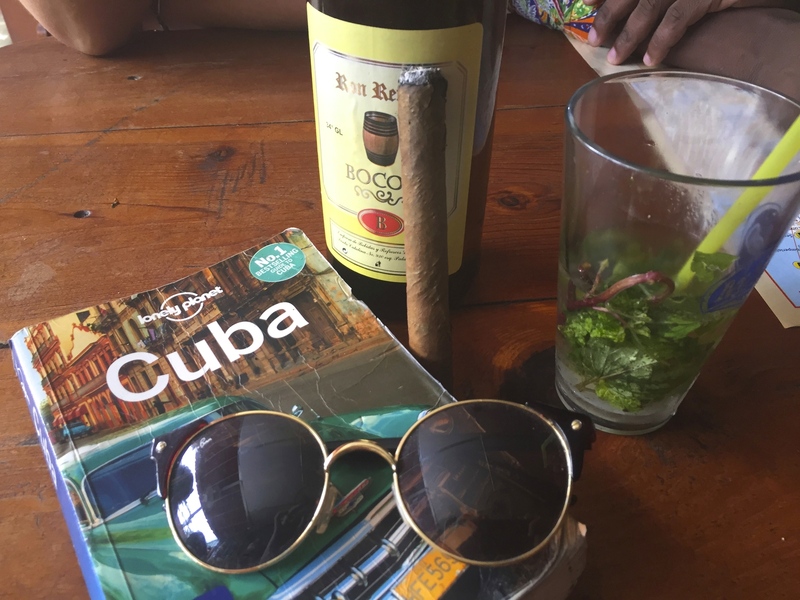 Come back next week when we share our final Cuba travel tips!